Our monthly look at the strange places we find economics. Want to create content for us? Why do we go to work? Unemployment: Why aren’t there enough jobs? 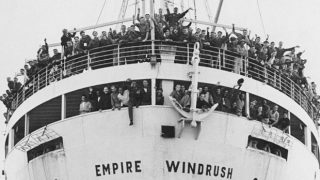 They're here legally, but many people who migrated to the UK in the 50s and 60s are facing deportation. A growing number of people who were born in the Caribbean and came to the UK as children in the 1950s and 60s are struggling to prove their immigration status, and some are being threatened with deportation. from its former colonies (the Commonwealth) to help with post-war rebuilding – both of houses and stuff, but also rebuilding the 'economy', i.e. getting people back into jobs and paying taxes. The UK government granted those people 'leave to remain' in 1971 – that means they were allowed to stay indefinitely. But the Home Office didn't keep a record of those granted leave to remain or issue any paperwork confirming it, which means if they didn't apply for a passport, it's difficult to prove – even if they arrived in the UK as a child, and lived here for their whole adult life. Now, according to reports, some are facing deportation or being denied access to public services like healthcare. More than 100 MPs signed a letter demanding urgent action from Theresa May on the whole thing. All content © Economy / Creative Commons unless otherwise stated. Economy is a charity registered in the UK No. 1166046. A sister charity of Rethinking Economics.